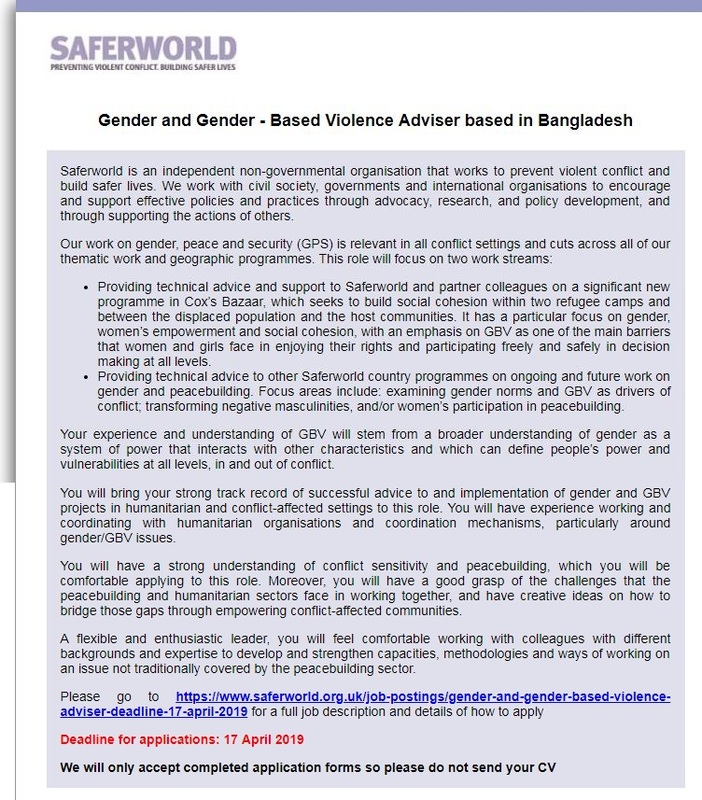 Saferworld-Bangladesh Programmed Job Circular 2019 has been published by their authority in daily online job portal and to get from the best jobs and the education portal website in BD Jobs Careers- www.bdjobscareers.com. For the user understanding, we would like to inform you that, Saferworld is an international non-governmental organization that works to prevent and reduce violent conflict and promote cooperative approaches to security. We work with governments, international organizations and civil society to encourage and support effective policies and practices through advocacy, research and policy development and through supporting the actions of others. We are seeking an experienced Finance and Administration Officer to join our growing team in Bangladesh, at our Cox’s Bazaar and Dhaka offices. The post-holder will have substantial knowledge and skills in financial management. S/he will also have experience in liaison with the NGO Affairs Bureau in relation to funds clearance and project approval.